At Bais Menachem we maintain an open enrollment policy. Openings for new students are available on a first-come-first-served basis. 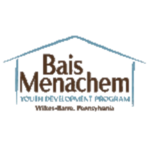 Due to the nature of our program students are accepted throughout the year, provided that they meet the criteria for acceptance at Bais Menachem. The first day of classes for the 2018-2019 school year is iy"H August 22, 2018. Please contact Rabbi Uri Perlman if you should have questions or wish to discuss admission to Bais Menachem. Phone: 570-970-2480. Email: uri@baismenachem.com. Fax: 570-796-3074.